We’ve all experienced a stray piece of gravel chipping on our windshield when driving on the highway. It is annoyance, but usually doesn’t need immediate attention. 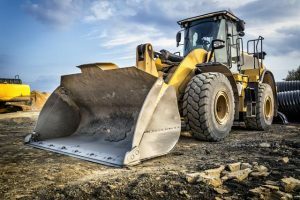 With heavy machinery, a broken windshield is not only an inconvenience, but a potential safety hazard as well. In this area, a lot of heavy machinery is used for any number of industrial jobs. Logging is a major factor for the Pacific Northwest and many of the machines used feature cabs and glass. 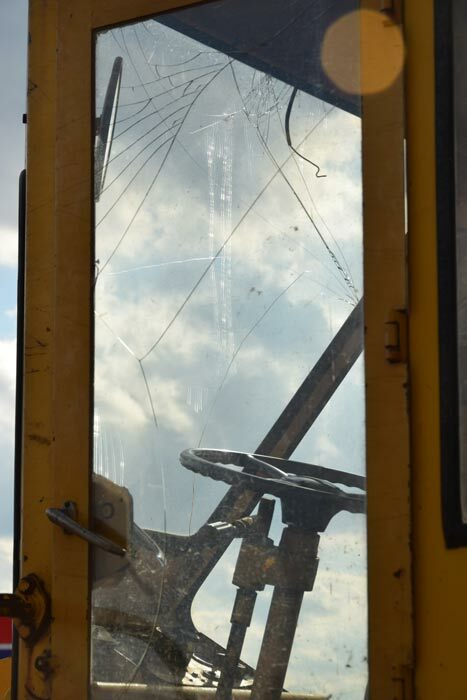 Logging can see a lot of falling debris, swinging branches, and other factors that could damage glass on forwarders, harvesters, loaders, and more. A broken windshield on any of these machines can mean down time for the machine as well as the crew. Twin City understands any down time can affect deadlines and the bottom line. Commercial and Industrial Glass Repair or Replacement – Let Us Come to You! We also understand these aren’t the type of vehicles that can just be dropped off. We will travel to your location and repair or replace the glass in your commercial or industrial vehicles. This includes the windshield, as well as any door or back glass or mirrors. We take the same care in repairing or replacing glass in these situations as we do in our shop. Taking correct measurements, using the proper adhesives, and following best practices for installation ensure the replacement glass will perform just as it should. If you employ commercial or industrial machinery, keep us in mind for your window repair needs. We’re knowledgeable, fast, safe, and work to get you back up and running. Contact Twin City Glass today.